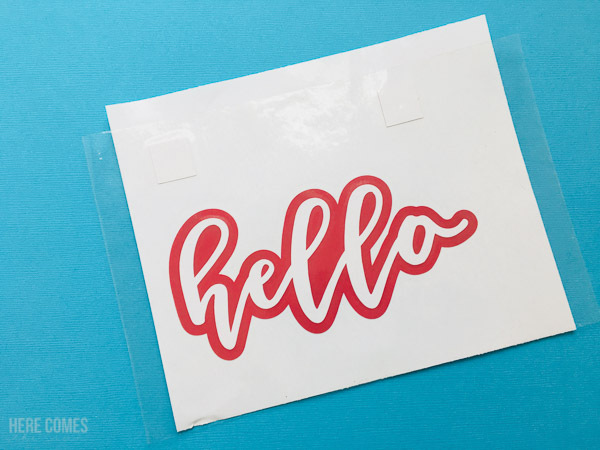 Ever wonder how to layer vinyl so that it lines up perfectly? Read on for the easy tutorial! If you craft with vinyl, I know you’ve been there. You have a really great design, you cut it all out and then try to layer the individual pieces and that’s where it all goes wrong. You accidentally place one piece wrong and it is now stuck and you can’t peel it up. WOMP WOMP. This doesn’t have to happen. 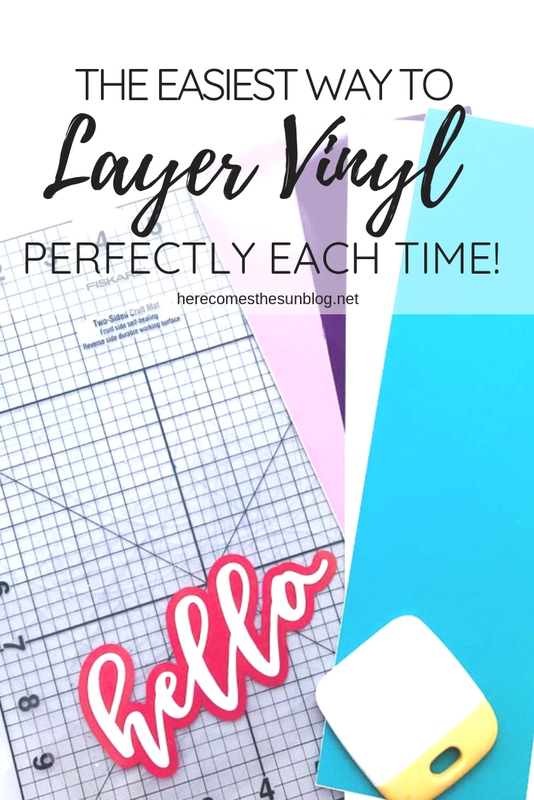 I’m here to show you how to layer vinyl perfectly each time. 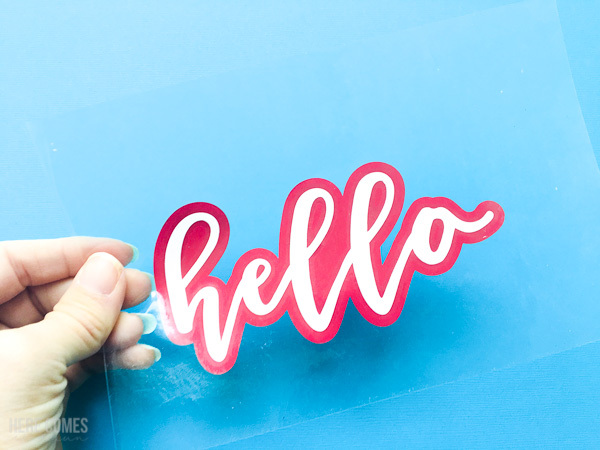 The first thing you need to do to layer vinyl perfectly is to add a few registration marks to the bottom layer of your design. To do this, make sure your design is ungrouped so each layer is separate. 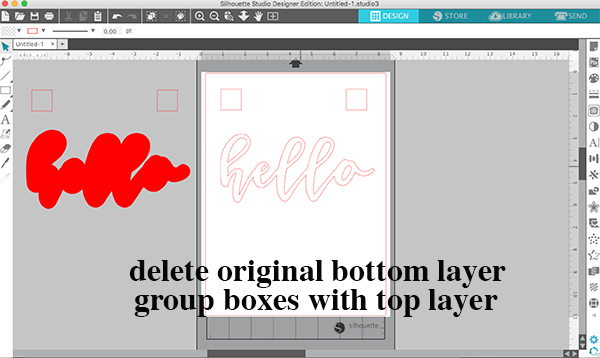 Next, draw two boxes (or circles or whatever shape you want) and place them at the top of your design. Align just the boxes and group them together. 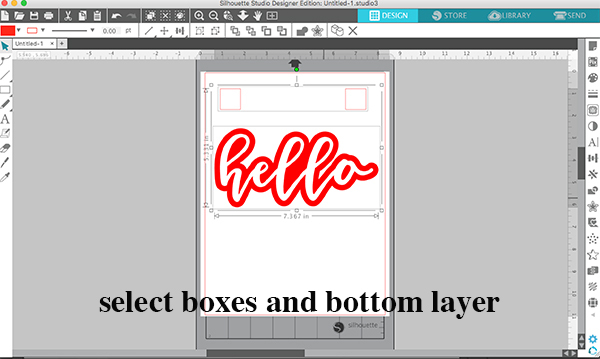 Select the boxes and bottom layer, copy and paste. Move that layer aside and delete the original layer. 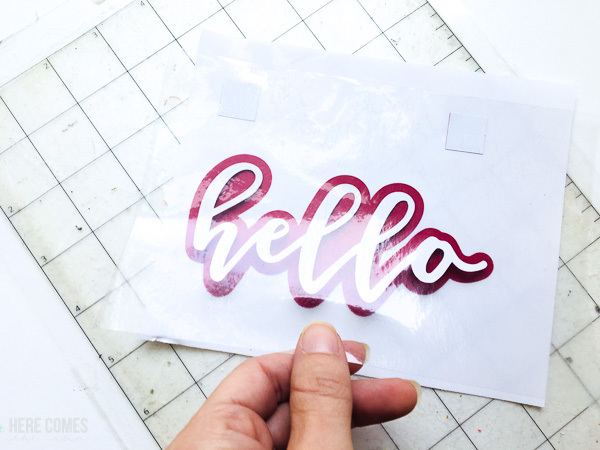 Continue to do this until all layers have registration marks attached to them. 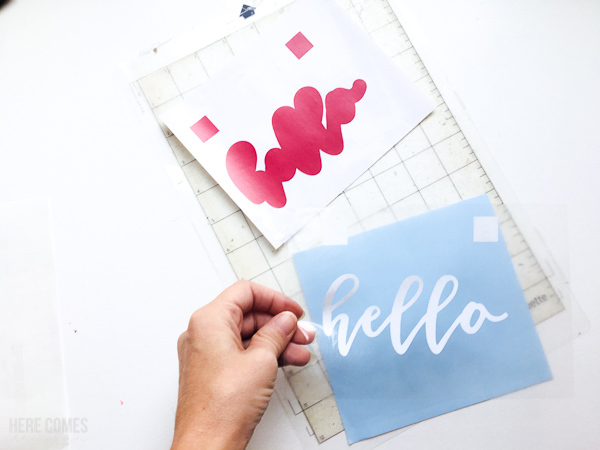 Cut out each layer of vinyl separately along with the registration marks for each layer. 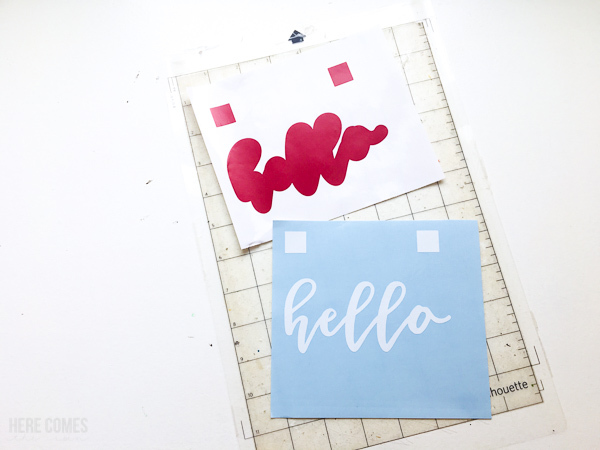 Place a piece of transfer tape over the top layer and adhere the top layer to the transfer tape. 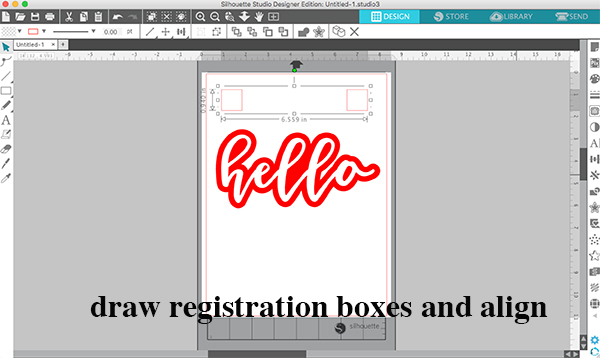 Finally, line up the registration marks exactly to attach the top layer to the bottom layer. 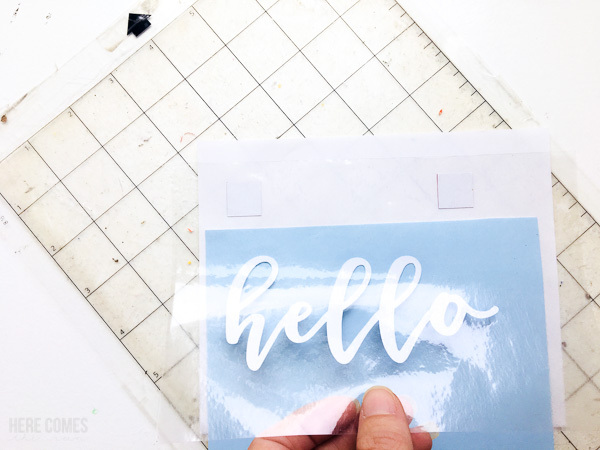 Place the vinyl backing between the top and bottom layers to prevent accidental sticking. Slide the backing out and press the top layer down onto the bottom layer. Repeat this process for each layer that you have. When you are done with the final layer, you can peel the registration marks off. 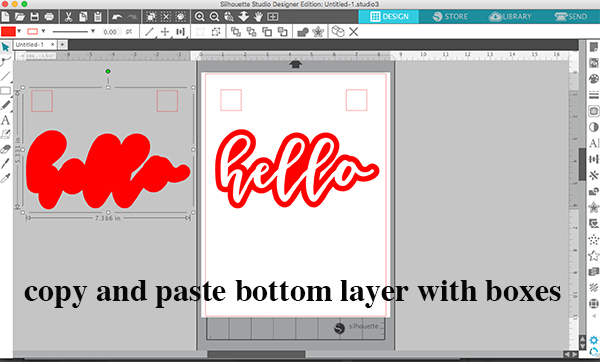 You should now have a design where the layers are perfectly aligned.